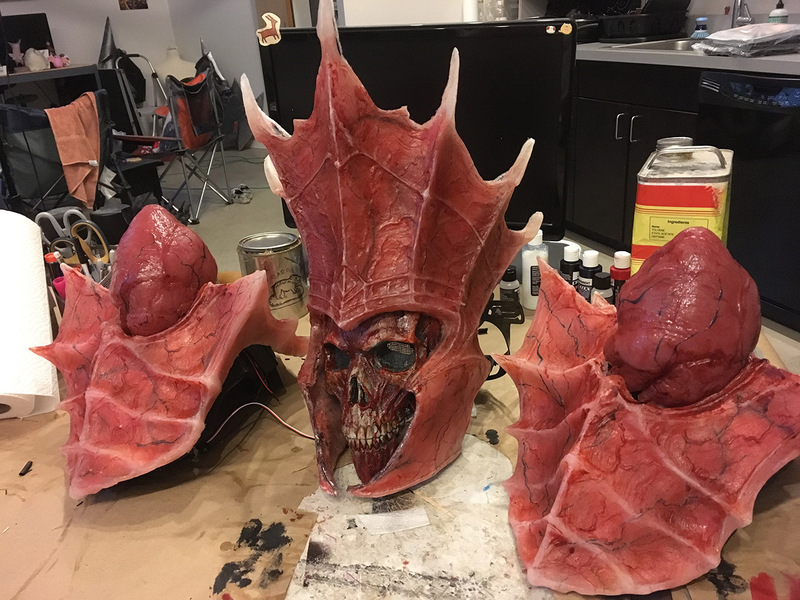 ‘Cardiac Cosplay’ – Trag’oul’s Avatar Necromancer from Diablo 3 with TowerPro SG-5010 Servo Beating Hearts, by Egg Sisters | #cosplay « Adafruit Industries – Makers, hackers, artists, designers and engineers! OK I clearly am unfamiliar with Diablo III – my first reaction was “yeah but why are there two hearts?” Turns out Trag’oul’s Avatar wears one heart on each shoulder, like armor. 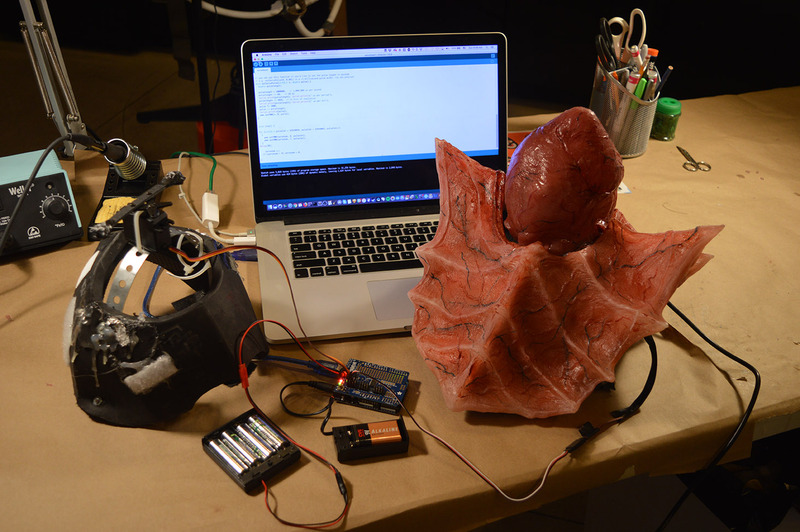 So that’s creepy already… But then Egg Sisters went and made a really detailed and sophisticated cosplay with servo-powered beating hearts and EL wire veins. Cosplay Culture has a detailed write-up with all the steps, links to code, and more. This is a really great combo of art, cosplay, and electronic skills altogether! 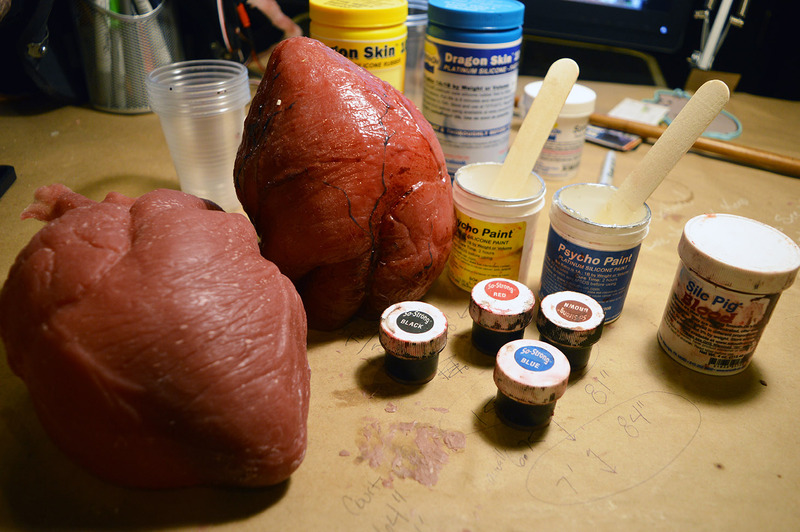 The only way to paint silicone is with more silicone. Smooth-On carries a silicone paint base called Psycho Paint. It’s clear so you can add pigment to create your own colors. Start by mixing a small amount of reddish brown. 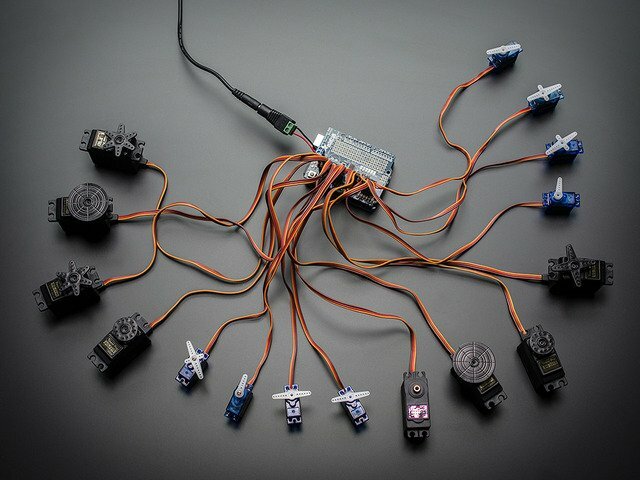 This code is just a simple modification from the Adafruit PWM Driver Library. 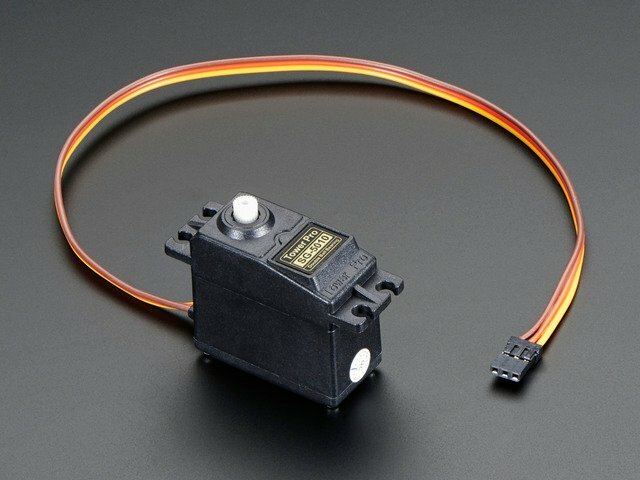 All it really does is loop through each Servo, spinning the arms back and forth once with a delay between each. Feel free to take what we have, build off of it, and make it better! See more photos and read more here.